Yibada reports that Netflix will likely delay the second season of its Sense8 TV series. Season two of Sense8 had been expected to drop on Netflix in June, 2016. According to Yibada, that may be delayed until 2017, as production will not begin until March. Sense8 follows eight strangers around the world, who share a psychic connection. 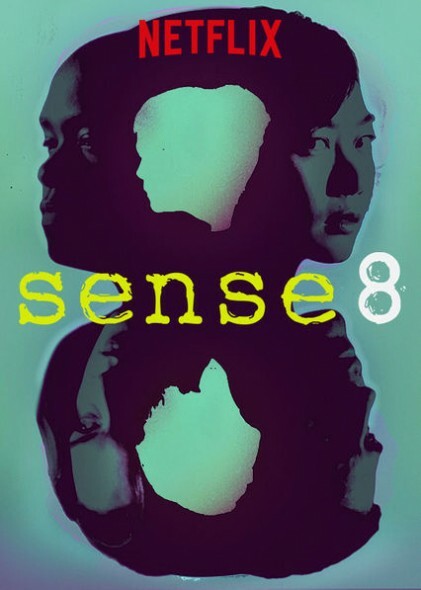 The Sense8 cast includes: Aml Ameen, Doona Bae, Jamie Clayton, Tina Desai, Tuppence Middleton, Max Riemelt, Miguel Ángel Silvestre, Brian J. Smith, Freema Agyeman, and Daryl Hannah. The March production date has sparked rumors calling the season two renewal into question. Tracing the story, it seems cinematographer John Toll’s November interview with The Film Stage fueled speculation that the production date means the renewal is in flux. The above exchange has been interpreted by some outlets, as if the renewal deal is still up in the air. Tracing the story from Movie News Guide, to Vine Report, to Yibada, and finally to The Film Stage, was a bit like playing the children’s game, Telephone. A point to remember is that Toll shoots the show; he does not run it. His interview with The Film Stage focused on cinematography, and where Sense8 is concerned, on the production and post-production processes involved in shooting a series around the world. When Toll says he “thinks” he will return as cinematographer, that does not call the whole renewal deal into question. Sense8 is written by creators J. Michael Straczynski, Andy Wachowski, and Lana Wachowski. Netflix renewed Sense8 for a second season, back in August. For now, it seems sensible to expect season two is happening, but that it could be released later than anticipated. What do you think? Are you a fan of the Sense8 TV show? Do you plan to tune in for the second season, whenever that might be? Let us know. More about: Sense8, Sense8: canceled or renewed? This is one of the best shows in a long time, so of course they would like to take it off. The networks are trying to make America stupid so they take off the good programs that actually engage your brain. Got hooked on Season 1 and I, as well as other family members are anxiously waiting on Season 2! This is a phenomenal show! Please do not cancel, this show is better than what’s on TV now. I will be greatly disappointed if this is not renewed. Such an awesome story line for the characters, each story line could create it’s own show that I would watch. This series help me with my own goal. So talented actors and producers. I expect second season with impatience. Sense8 literally saved my life when I was trying to cope with some profound depression. It gave me hope, and I usually try to re-watch at least 1 episode a day. PLEASE Netflix, don’t bail on this project! Ok netflix your stock is down and your programing is turning to ****. When you have something good like sense8 don’t make us wait for it. Let’s go. The things that brought me to netflix has changed. Fire that person and let’s get moving. You want to be one of the big boys on the block, get back the smart choices you were making and drop whoever is holding these programs up. Great program and talented actors! The stoy line is different and enjoyable. I can only hope this series will be renewed! Absolutely LOVED Sense8. Really hoping for a season two!! I’m really hoping they do come back with a 2nd season. Sense8 has got to be one of the most creative psychological action/thrillers I’ve seen in my lifetime. It will be back, it’s more a question of how soon. Baloney. No ‘delay’ because no date had ever been set. All speculation about release dates have been exactly that – speculation based on nothing at all. The script-writing began in late August or early September and a few actors have tweeted and commented about their reactions to scripts. In the strictest sense, you’re right of course, Jan.
Because the first season was released in June 2015, though, there were expectations that season two would drop in June 2016. A 2017 premiere date (which is indeed speculative) does seem far off for a second season that was picked up in August, 2015. Also, “Baloney,” is more polite exclamation than I might have used, while I was tracking this rumor to its source. Thanks for reading and for your insightful comments.